Meet Dexter Morgan, a polite wolf in sheep's clothing. He's handsome and charming, but something in his past has made him abide by a different set of rules. He's a serial killer whose one golden rule makes him immensely likeable: he only kills bad people. And his job as a blood splatter expert for the Miami police department puts him in the perfect position to identify his victims. 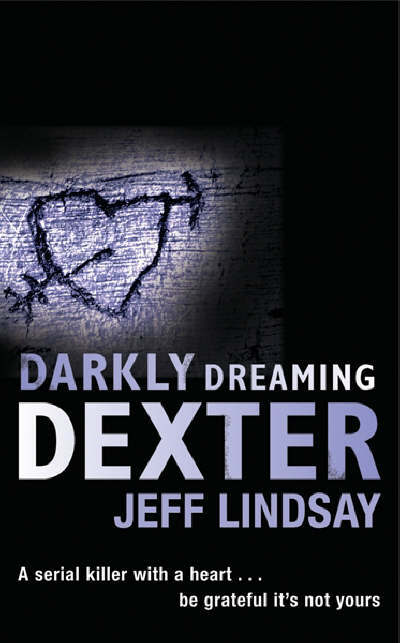 But when a series of brutal murders bearing a striking similarity to his own style start turning up, Dexter is caught between being flattered and being frightened -- of himself or some other fiend. Although this novel is the original source material behind the famous television series, this review will not be a comparison between the two. I have (surprisingly, given my television habits) seen the first few episodes of the series, and did enjoy them, hence the book ending up on my shelves. I knew this would be an easy read; something simple in large print with a plot that just carries you along without any deep thinking required. I was not prepared for how dull, transparent, predictable, and incredibly one-dimensional the whole experience was. Lindsay's characters had a lot of potential, but ended up entirely flat. I didn't like any of them, no one tugged at my heartstrings, and I was almost glad when a couple of them found themselves in life-threatening situations; I even wished some of them dead just so something, oh please anything, would break the dull plot. Lindsay could have done so much, particularly with Dexter, but kept going round in circles with the same old clichés. The number of times I was reminded that Dexter was a sheer genius, but inhuman and completely and utterly incapable of feelings was just excessive. I get it, he's a killer, he loves it, hurrah, can he just kill someone now please. 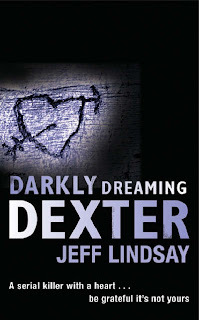 The novel was written in Dexter's whining internal monologue, which began to irritate very quickly, and didn't do anything for the plot. Although I understand the potential excitement of reading a serial killer's innermost thoughts and desires, I really feel a third-person narrative would have worked wonders here. Dexter really is a boring guy; I’d have preferred his crimes to be shown to me, rather than him telling me about them and peppering the monologue with hints to his genius. The plot was just ridiculous; there was no real mystery involved at all. Dexter (being such a genius) spent most of his time watching the police make various blunders. There was no anticipation or suspense, just a lot of smoke and mirrors. It was exceptionally simple (despite the lack of foreshadowing) to work out what was going to happen next. It was so dull. Prostitutes were getting their heads and limbs chopped off all over Miami and I was wondering where my next Viennese biscuit was coming from. With all of the above already irking me immensely, I had the grand finale thrown at me. I mean, really. I don't want to spoil it for any of you who want to waste time reading this, but it was so extremely far-fetched that I was rolling my eyes every few minutes. It just seemed like a pull everything out of the hat at the last minute SHOCK FACTOR tactic. No, thank you. Then I was completely insulted in the epilogue by Lindsay writing in such an ambiguous way to confuse us over who ended up dying. It’s not difficult to know who dies before they actually die. I mean, really. I will not be reading the rest of the series, and will continue trying to find a serial killer who is a bit more exciting than the inhuman dullard, Dexter.